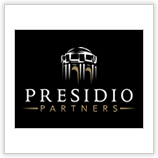 Presidio Partners, formerly CMEA Capital is a venture capital firm with a clear focus on life sciences, high technology, and energy and materials investments. They were founded in 1989 and maintain offices in San Francisco and Menlo Park. They invest in both early and late stage science-focused ventures, and leverage a strong network of corporate, investment, and entrepreneurial relationships on behalf of portfolio companies. Their partners and associates have extensive science, engineering, and operational backgrounds, which provides them the confidence to look beyond today's technology.